Mira and Shahid are often spotted out and about in the city and they never fail to give major couple goals. Mira Rajput is definitely one of the most followed star wives. Not just by the paparazzi, but Mira has a huge fan following on Instagram as well. Mira, who initially used to keep her social media account private, made it public after her marriage to Shahid Kapoor. Mira and Shahid are often spotted out and about in the city and they never fail to give major couple goals. While their social media sure oozes love and affection for each other, the couple seems to never get enough of each other. Mira and Shahid are parents to two adorable kids Misha and Zain. She often keeps her Instagram followers updated about her routine as well as the kids' activities. 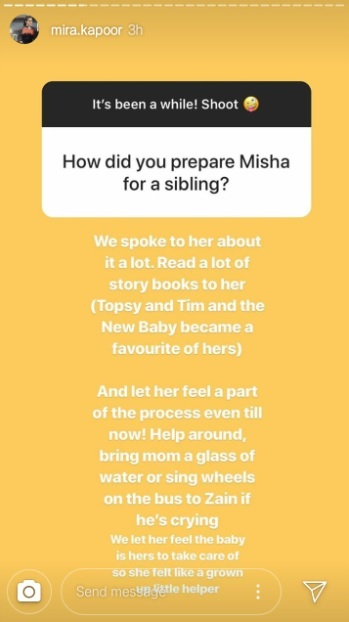 In a recently held 'Question and Answer' session, Mira was asked about how she prepared Misha to become an elder sister to Zain. That's definitely parenting done right. 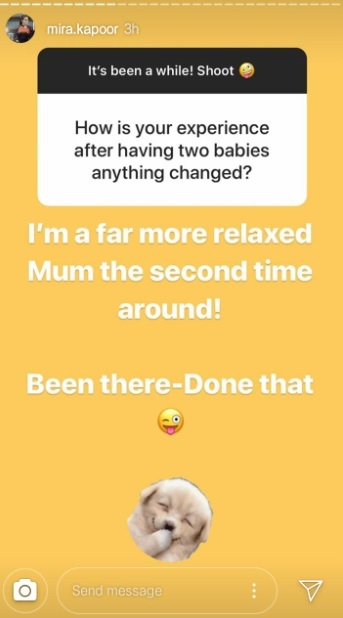 In another question Mira was asked how her experience had changed after having two babies. Mira said, "I'm a far more relaxed mum the second time around. Been there, done that." Well, Mira is definitely a hands-on mum and has embraced motherhood to the fullest.